Brown traditional boots with fur and profiled sole. 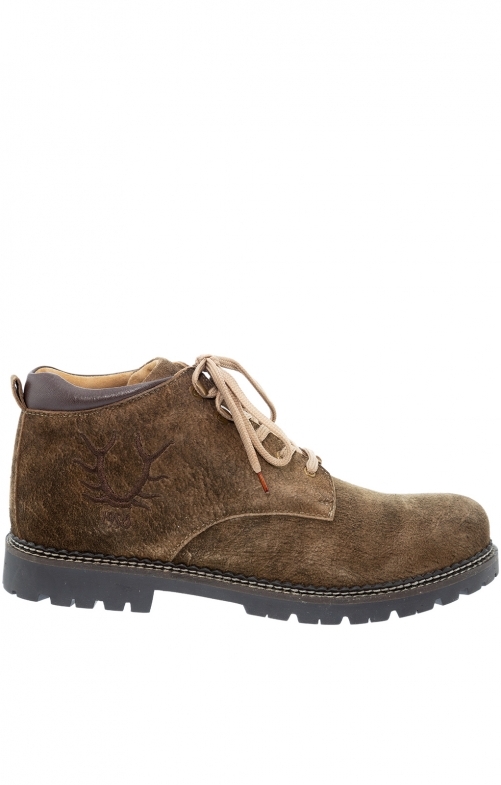 The brown traditional boots from our online shop inspire with their high-quality upper made of genuine leather with fur trim and by the applied deer antler in the side area. The men's shoes are closed with the help of a beige lacing. The sturdy dark sole is strongly profiled and offers a good grip. Nobody can slip so fast here.